The inside ski tends to get forward through the turn and end a little forward of the other one - also referred to as lead change as the new inside ski takes the lead in every turn. Put your boots on and get next to a staircase or a step. Keep the boots close and evenly matched (tip to tip). 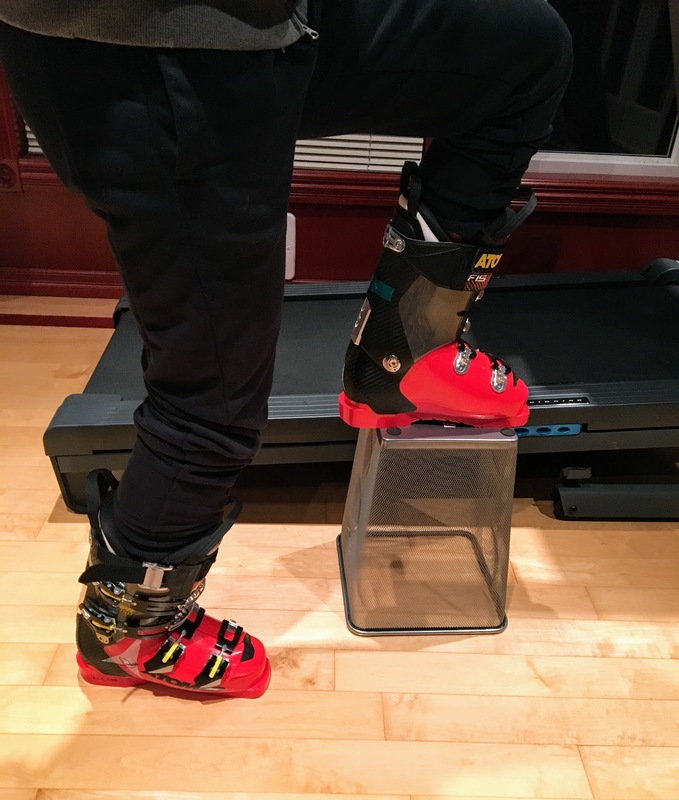 Now put one of the boots on a higher step, while still keeping them close. You will notice that, to keep the same shin angle, the boot moved forward. This is the basic mechanism: vertical separation causes the inside boot to move forward, because the boot cuffs reduce the range of motion of the ankles. The more separation, the more it tends to move forward. This is what we call "lazy shuffle". However, while the boot cuffs do force a certain amount of range limits on the ankles, it would be a mistake to conclude that we must lazily keep the ankles at the same angles, all the time. This would result in what we call "lazy tip lead" or "passive", which is not conducive to high performance skiing. 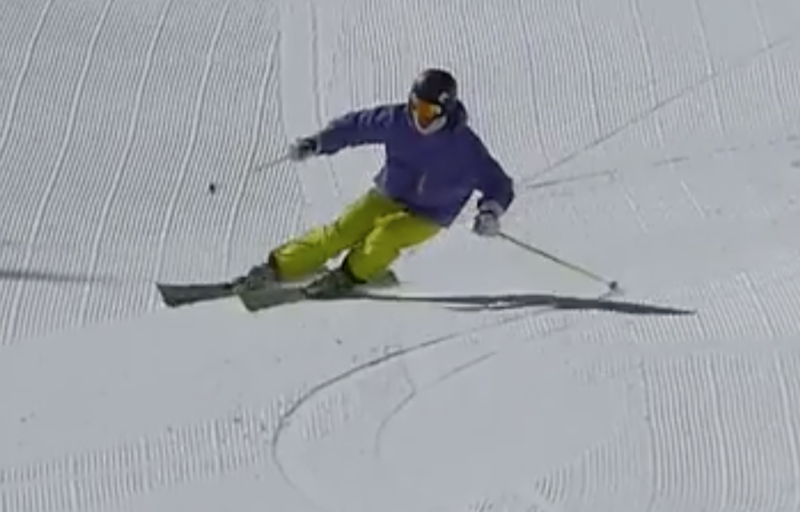 Shuffling the inside ski forward was often taught for a while as a way to easily initiate the turns - it makes it easy to change edges and drag the body inside the turn... but it generally has a nasty effect of inducing hip dump and interferes with carving and edging. On the contrary, tip lead is best controlled and kept in check. 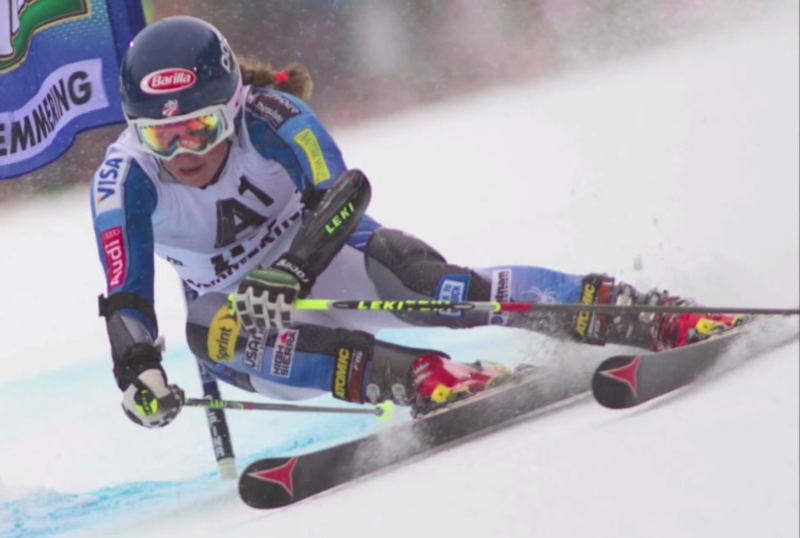 Some tip lead develops naturally throughout the turn and in racing, Slalom specifically, it may be a tactical choice, but in general, shuffling the skis on purpose is not common in performance skiing. Managing tip lead generally requires attention and work on developing inside ski management skills. Our aim is to keep tip lead under control and don't let the inside foot shoot out too much ahead. How much? It depends on the slope steepness and our inclination. 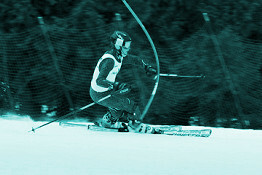 The often used cue in ski racing is to keep the tips even, but that can be done by either pushing the outside ski forward or pulling the inside ski back++. The shorter the turns, the more counter should be used. In faster events with large radius turns, less countering can used - some tie this to the amount of tip lead, see The wall. However, both counteracting and coiling are defined as active movements, not just a passive result of tip lead. Member-only content avilable (132 words). Viewed 1423 times ( | Print ) this page.